Home / Auto Mechanic / Auto Mechanic Training: What Kind of Training is Required to Become a Mechanic? If you’re looking to start a career as an auto mechanic, you’ll want to be thorough with your research so that you have a full understanding of the auto mechanic training that’s required to do so. With jobs such as this that necessitate a substantial amount of manual labor, training is a huge part of the educational requirements necessary for you to be employed as a mechanic. Once you have a better understanding of what these requirements are, you can start completing the requisite training. While you will have to undergo some training in order to become an auto mechanic, the requirements to do so are actually much less than you might imagine, some of which are tied to the education you need to receive for this type of job title. For instance, the education requirements that are needed for you to become an auto mechanic include either an associate’s degree or certificate in automotive technology. While you’re progressing through an associate’s degree or certificate program, you’ll need to complete a large amount of classroom work and real-world experience, both of which classify as training. No matter which certificate or associate’s program you’re considering, the main component of your training will be obtained when earning your ASE certificate, which is administered by the National Institute for Automotive Service Excellence. In order to receive ASE certification, you will need to pass an ASE test and gain a sizable amount of hands-on work experience. The amount of experience and auto mechanic training that you require all depends on the type of auto mechanic you wish to become. If you plan on becoming a repair technician, the amount of hands-on experience can range from 1-3 years before you’re provided with an ASE certificate. If you’re training to become a parts specialist, collision damage estimator, or a service consultant, you’ll need to gain two years of hands-on experience. Once you’ve gained the requisite experience and have passed the corresponding test, you will receive your certification. If you’re getting an associate’s degree in automotive technology, you’ll most likely be required to complete an apprenticeship at a car manufacturer, which can be anything from a local repair shop to a Ford plant. An apprenticeship is not only considered as training but also classifies as entry-level employment, which means that you’ll be paid for your work while completing your training and education requirements. Aside from the hands-on work experience you’ll receive during an associate’s or certificate program, there isn’t really much training you’ll need to take before becoming an auto mechanic. However, becoming an entry-level mechanic means that you’ll likely start out as a trainee technician. It takes a lot of additional training and work to become a fully qualified technician or mechanic. Once you’ve received your ASE certification and the education necessary to be hired as an auto mechanic, you’ll typically receive a position as a trainee technician, which can last upwards of five years as you gain experience in working alongside and providing assistance to fully trained mechanics. After you’ve gained around five years of experience, you’ll be fully qualified as a service technician or auto mechanic. However, in the event that you specialize in one facet of mechanics, such as the transmission or brakes, you’ll require 1-2 additional years of experience before becoming a full-fledged auto mechanic specialist. It’s also important to understand that automotive technology changes rapidly, so the techniques and tools you use one year could be updated the next. Because of these changes, you will oftentimes be required to take part in ongoing education, which basically involves yearly training programs that allow you to identify current industry trends. By continuing to update your skills, you’ll remain a valuable employee. Most of the auto mechanic training you’ll go through when becoming an auto mechanic and after you’ve been employed as a trainee will involve hands-on experience that allows you to understand all of the job duties a mechanic is required to take part in. The most common aspect of any work on a vehicle is in the estimate of the work that needs to be done, which you’ll then provide to the customer before any actual work is completed. 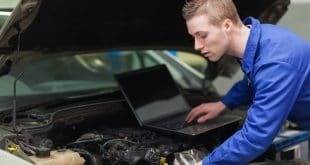 This estimate should include only the most basic of repairs or maintenance that will get the vehicle working properly without adding any extras that the customer might not want to pay for. 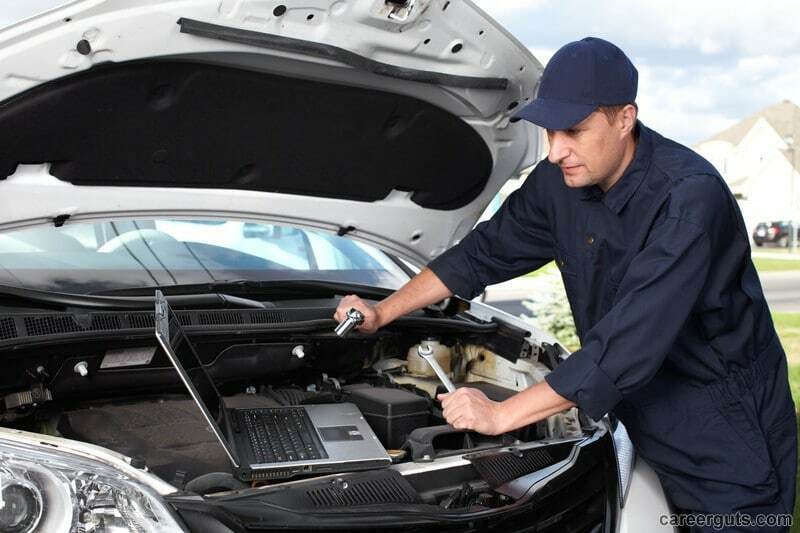 Every other role an auto mechanic takes during their work involves the repair, maintenance, and inspection of vehicles. Auto mechanics typically reserve their work for vehicles that run on gasoline. Some of the standard tasks you’ll be required to do include checking tire pressure, replacing spark plugs, checking the reliability of a vehicle’s brakes, and changing the engine oil. You will learn how to do all of these tasks and much more as you complete your training. Next How Long Does It Take to Become a Mechanic?